You can choose to look at all stores or at one specific store. You can also look at any date range (we store data as far back as possible). This allows you a true look at whether people are consistently following your carding policy at each store. 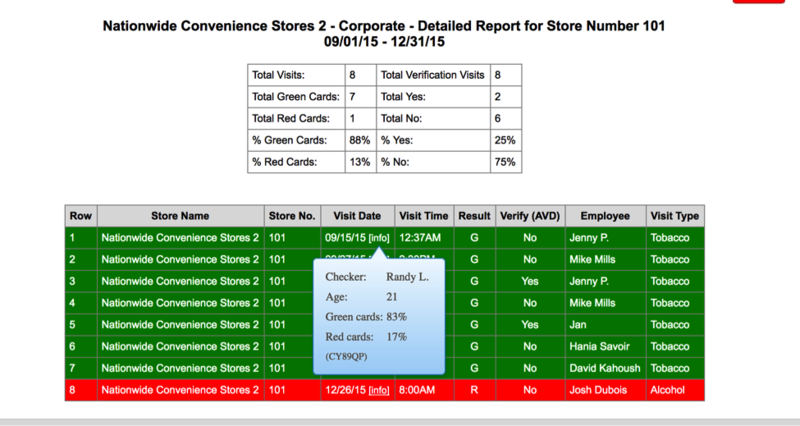 The screenshot above shows the performance of all stores in terms of green and red cards. 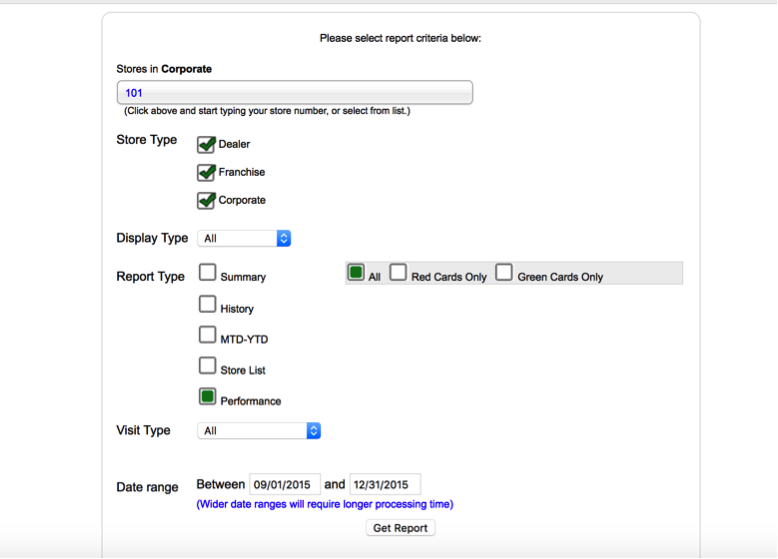 If you choose to look at just one store at a time, you will see all visits for that store along with detailed information about the checker, the employee, and whether the carding policy was followed (like in the screenshot below). Each of our clients has their own goal regarding green and red cards: many shoot for 90% compliance or better. Our reports make it extremely easy to evaluate your progress towards this goal at a glance. But you can also look at each visit in detail. After 20 years of conversations with clients, we realize that the most important thing is to allow clients to run reports any way they want. Each situation and store is different, so we know that having flexibility in terms of working with the data is essential to continuing to improve compliance. 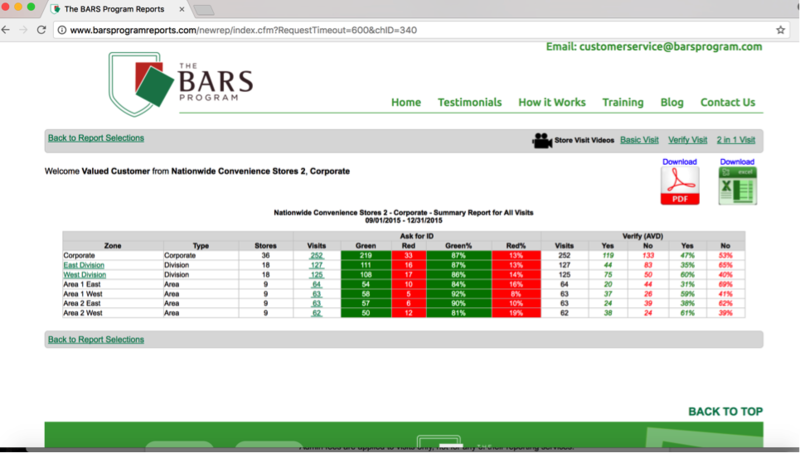 Interested in more information about how The BARS Program can up your compliance game? Contact us at customerservice@barsprogram.com or 1-877-540-5500.